With a stay at Hotel Arnia in Iasi, you`ll be within a 5-minute drive of University of Iasi and Metropolitan Cathedral. This hotel is 1.7 mi (2.7 km) from Palace of Culture. Make yourself at home in one of the 20 air-conditioned rooms featuring minibars and flat-screen televisions. Complimentary wireless Internet access keeps you connected, and cable programming is available for your entertainment. Private bathrooms with bathtubs feature complimentary toiletries and hair dryers. Conveniences include safes and ceiling fans, and housekeeping is provided daily. 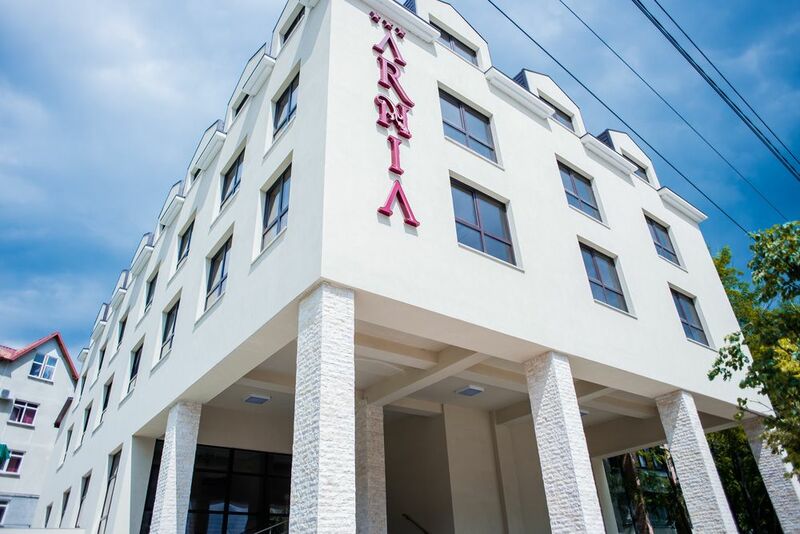 At Hotel Arnia, enjoy a satisfying meal at the restaurant. Wrap up your day with a drink at the bar/lounge. Continental breakfasts are available daily from 7 AM to 10 AM for a fee.